Virtual Partner™ can turn any training session into a virtual matchup. Letting you race your previous bests or challenge any activities uploaded to Garmin Connect™. Train with Christophe Le Mevel this winter with pre-planned training activities available for download at garmin.com/wintertraining. 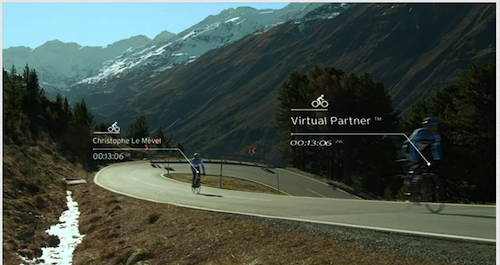 Watch this video from Timmelsjoch in Austria as Team Garmin’s Christophe Le Mével climbs using the Edge 800 cycling GPS.